pressure washers. 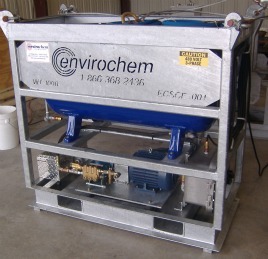 Envirochem’s screen cleaners have a 60 gal chemical storage tank. Electric units have automatic timers and low level shut-offs.